The idea of sending an expedition to Mars is not new. It was part of a long term space programme produced by President Nixon's space task group in the heady days of enthusiasm for manned space exploration which led to the first triumphant moon landing. Archaelogists of the future may well puzzle over a derelict site in Nevada called Jackass Flats and surrounded by barren mountains, for it was there that NASA and the US Atomic Energy Commission set up the Nuclear Rocket Development Station (NRDS) and ran a series of tests, which were expected to lead to the first flight ready nuclear rocket engines. "A NERVA-propelled nuclear stage could provide transportation of automated spacecraft for exploration of the surfaces to Mars, Venus, Mercury, some of the moons of Jupiter and certain asteroids. The return of samples to Earth will be possible in some cases." As a result, the NERVA project, on which hundreds of millions of dollars had been spent, was terminated. It was probably a wise decision. 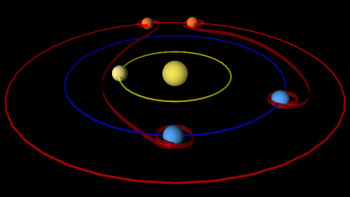 The ground rules established by Tsiolkovsky - that the exploration of the Solar System should proceed from an orbital platform in Earth-orbit - seem basic to a venture of this kind. Even better results were anticipated with nuclear-electric drive. Instead of using reactor heat to expand large amounts of hydrogen fuel through a nozzle, the nuclear reactor operates in a closed cycle, using its thermal energy to produce large amounts of electrical energy. As Glushko points out, electrical rockets require only small amounts of propellants. In the Ion rocket, for example, the working gas is ionised - and electrostatically expelled. The ions have very small mass but very high velocities. 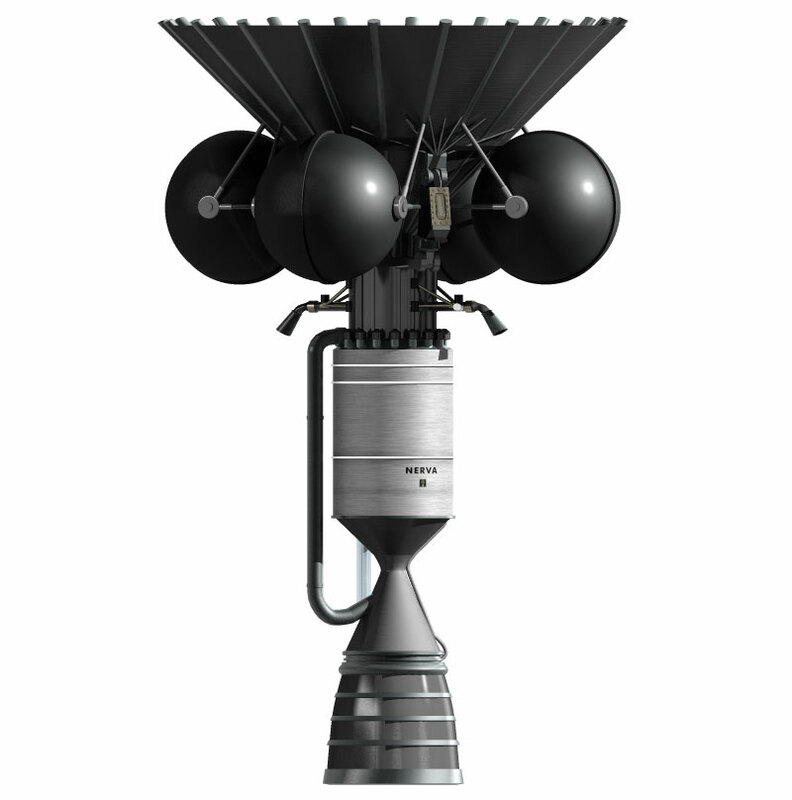 Whereas the thermodynamic nuclear rocket might develop some 200,000lb (90,703kg) to 250,000lb (113,379kg) thrust for a maximum of 40 minutes at the start of a flight to Mars, a large nuclear-electric might produce as little as 20lb (9.07kg) thrust, but this could be maintained over very long periods. Assuming that nuclear-generators of suitable power-weight ratio are available, it should be possible to achieve much higher terminal velocities than with either chemical or nuclear rockets. Whether or not a new generation will accept this challenge only time will tell. When the Moon Race with the Soviet Union was at its height in 1969, President Nixon's space task group laid plans for a bold new assault on the Space Frontier - a Manned Mission to Mars. 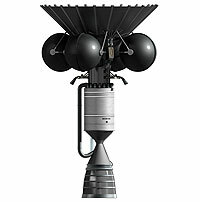 The project depended on the use of NERVA thermodynamic nuclear rocket engines for which preliminary tests were already underway in the Nevada desert. The scheme involved assembling in Earth orbit two identical spaceships (for safety reasons), each carrying six astronauts. According to one option, the joint expedition would set out in November 1981, land on Mars in August 1982 and return in August 1983.